As much as you’d love for your pup to run wild and free like Lassie, it’s just not a smart risk to take. The key word here being risk, because no matter how well-behaved your pup is, there’s always the chance that they won’t heel when hollered for, or come when called. They could run off in play and lose their way home, or worse, dart into a busy street. That’s why a collar and a leash is a must for every pup. 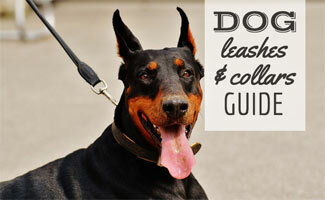 Before you decide, take a look at our collar and leash guide to find what combo fits you and your canine best. In addition to helping you keep your pup safe, collars also provide a place to hang your dog’s identification tags which contain their name and yours, a phone number and proof of rabies vaccination. In the event your dog does get loose and can’t find their way home, a collar with ID tags attached ensure that the sweet soul that finds your runaway canine will easily know how to get them home. Safety aside, there’s also another big reason for collaring, and thereby leashing, your dog: training. 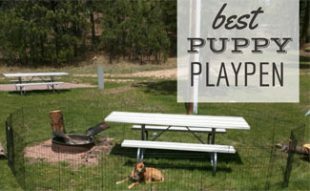 Some collars are designed specifically as training tools, but the ones that aren’t are still a valuable tool in teaching your dog to mind their P’s and Q’s. For example, it’d be much harder to teach your pup to heel if they couldn’t begin by learning to associate the word with the action. A slight tug of the leash used in conjunction with the verbal command is a much stronger training tool than verbal commands alone. We’ve linked some of our favorite Amazon products below, but please double check that you are purchasing the appropriate size for your dog. Some collars and leashes are designed for larger or smaller dogs, so be sure to read the item description before you purchase. If you’re unsure, feel free to comment on this article and we’ll help you find the right size! Picking out the right collar for your dog may be tougher than you think. From flat collars to shock collars, we’ll give you all the info you need to pick the perfect collar for your pup. Flat collars are your standard, everyday dog collar. Often made from nylon or other hardy materials, flat collars generally have plastic or metal quick-release closures, and should fit comfortably on your dog’s neck. A good rule here is you should be able to fit 2 fingers under the collar easily. A ring is attached to the collar which is the place to attach ID tags and also your leash. Learn more about personalized dog tags. Martingale collars (a.k.a. limited-slip collars) are great for dogs with slender necks (think Greyhound, Saluki, Whippet, etc.) that can easily dip out of a flat collar. The collar is designed by a length of material with rings at each end, and another length of material running through the rings. The leash is attached to a ring on the second length of material, and when your pup tries to slip out of their collar, the martingale tightens (only to the size of your dog’s neck when properly adjusted) to prevent their attempted escape. Read more about the martingale collar here. Head collars are perfect for headstrong dogs, both those that are playful and those that just don’t know their strength, and reminiscent of a horse’s halter. One strap goes around your dog’s neck, just behind the ears, and the other around their muzzle. The leash attaches to the ring on the muzzle material. Head collars work by controlling your dog’s muzzle, and the amount of leverage (a.k.a. pulling power) your pup has. Proper fit should be used and don’t hesitate to ask a trainer or sales clerk at your local pet store for fit tips. Learn more about the PetSafe Gentle Leader (linked above) here. A choke collar looks like a thin chain, and works like a pinch collar in that it tightens according to the tension put on the leash. A choke collar works much like a rope looped through itself. When the leash is pulled tightly the collar pulls tightly around the dog’s neck, causing it to choke itself and relax back into stride to loosen the tension. The choke and pinch/prong collars are not advisable for fragile-necked breeds, and are generally used with stronger, more aggressive breeds. For a deeper look at choke collars read our article on The Choke Collar. The pinch collar, also known as the prong collar, is a metal collar made of various links which can be expanded or shortened by removing or adding an additional link. Each of the links in the collar has a set of prongs which sits against a dog’s skin until the dog puts tension on the leash, then the prongs pinch the dog’s neck to cause displeasure and thereby making them mind. For more, read our article on The Pinch Collar. The pinch collar also has a small silver ring to attach a dog’s leash and this ring sits on the back of the dog’s neck. It’s important to note that while no-bark collars address the issue of barking itself, they do not address the root of barking. For an in-depth look at no-bark collars, read our article No Bark Dog Collar. For more insight as to why dogs bark, and the proper training methods to address it, check out Why Dogs Bark and How To Stop It. Here are a few no-bark dog collar options you can read more about. Spray collars work by spraying a non-toxic substance in the dog’s face when it senses that your dog is barking. In theory, your dog will get tired of being sprayed in the face every time they bark and will subsequently learn that no barking = no spraying. The citronella spray collar is considered the most humane of all the aversive collars. Read more about it in our Citronella Dog Collar article. The sonic (a.k.a. ultrasonic) collar has a device that sits against your dog’s throat, and when they bark, it detects the vibration and sends out a high-pitched noise, only detectable to your pup, to deter them from barking. Shock collars, like the sonic collars, have a device that sits next to your pup’s throat to detect when they begin barking. Only, instead of sending out a sound you can’t hear, it sends a shock to the back of their neck. There are several different shock levels you can use in increasing measure if your dog won’t stop barking. Unlike the sonic collar that is untestable because it’s undetectable to the human ear, you can test the shock collar against your own skin before using it on your pup. Learn more about Shock Collars for Dogs. While the best leash for you is ultimately the one that feels most comfortable in your hands, certain types of leashes are better for certain situations. These extendable leads with their iconic plastic handles are a great option for walks in the park, field explorations or basically anytime your pup has a little room to romp. We’d be wary of using this type of lead in heavy traffic, at a crowded park or anytime you need to have a little more control. Check out our Retractable Leash Reviews. Whether you choose leather or nylon, this straightforward style of lead with a loop on one end and a clip on the other, is a great all-around option. Whether you’re letting your pup out for a quick pee break or going out for a quick walk, everyone needs one of these leads. Generally speaking, leather is a little easier on your hands; nylon, while less expensive, can cause “rope burn” if pulled through your palms quickly. Most state and local parks request you use a leash of no more than 6 feet, so you may wish to consider this when choosing the length. Chain leads may look pretty, but they’re heavy and even harsher on your hands than a standard nylon leash. 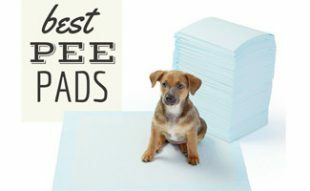 They’re also not-so-great on your pup’s teeth, should they decide to play tug-of-war one day with the lead. This 3-minute video from PetCo walks you through some additional tips on how to pick out the right type for your pup (no pun intended). Whether you opt for a simple set-up or one that’s more involved, the main thing is that you choose a collar and leash combo, period. It will not only make it easy for you to control your pup in group situations, but it’s also an effective training tool to teach your pup that they don’t always have to lead. Sometimes, it’s nice to just follow. If you plan on traveling with your dog, having a good leash and collar is even more important. 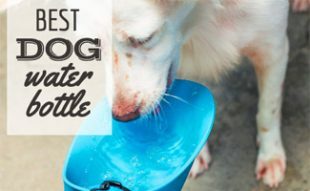 You may find that you need other gear for backpacking, hiking or camping with your dog (if that’s your sorta thing). What’s your favorite style of leash and collar to use and why? Thanks for pointing out how dog collars give you a place to hang your identification tags and contact number should your dog get lost. My son received a pup from her aunt for his 7th birthday. That Labrador really loves to run around, so we should really look into getting a collar for him just to be safe since we can’t really keep an eye on him 24/7. Thanks for that tip about dog size. I would hate to get a collar that was the wrong size for my dog! Checking and double checking on that is a good way to avoid having to buy a collar twice. I am pleased to know from your article that there are different kinds of dog collars I can choose from, from flat to shock collars. My wife is looking for a new dog collar for her English bulldog that will not only please her but also make sure that the dog is comfortable wearing it. I will look for retailers that provide a variety of options not only in design but also for comfort. I bought a Dog Care collar and great price and product! Very satisfied. We have a 74lb 10 mo. Boxer , we used a harness but recently bought a Martingale collar, so far I think we have better control with the harness but we need to give the other collar a chance since we just purchased it 2 days ago. My issue is that he constantly tries to bite the leash as we are walking or trying to learn agility. Any suggestions? We tried the gel handle dog leash a few times and the handle is so big and heavy that you cannot shove it in your pocket when you are not using it (like I do with other leashes) and I would have to say it is not super comfy on your wrist (I prefer a regular leash feel in my hand). But, if you have a hard time getting a good hold on your dog’s leash, this might be a good solution (arthritis or other reasons) because the handle is very grippy. My wife and I just bought a new dog and wanted to make sure we bought the right collar for her. When we got online we figured it would be simple to find one real quick, but we quickly found out that there is a ton of different types. I like that you went through each one and explained what the uses were for each one and what types of dogs they are good for. Your article was very informative and we know which type of collar to get so thank you for the advice. Happy to hear we could help, Ben! Enjoy life with your new dog! Great information and very useful article. I think dog lovers should know about it before they buy a collar for their furbaby. 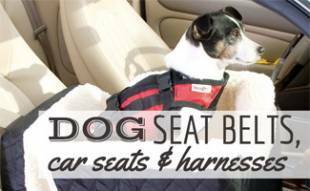 Mostly they don’t consider the function, so it would be a bad choice for s/he and of course for their dogs too.